For 25 or more please call for pricing. Image on the left with the Chocolate Lab displays 2 Kennel Decks®. Below is the formula to determine how many Kennel Deck® sections you will need to cover your area. Keep in mind that the Kennel Decks® can be simply cut with either a circular saw or even a handsaw. 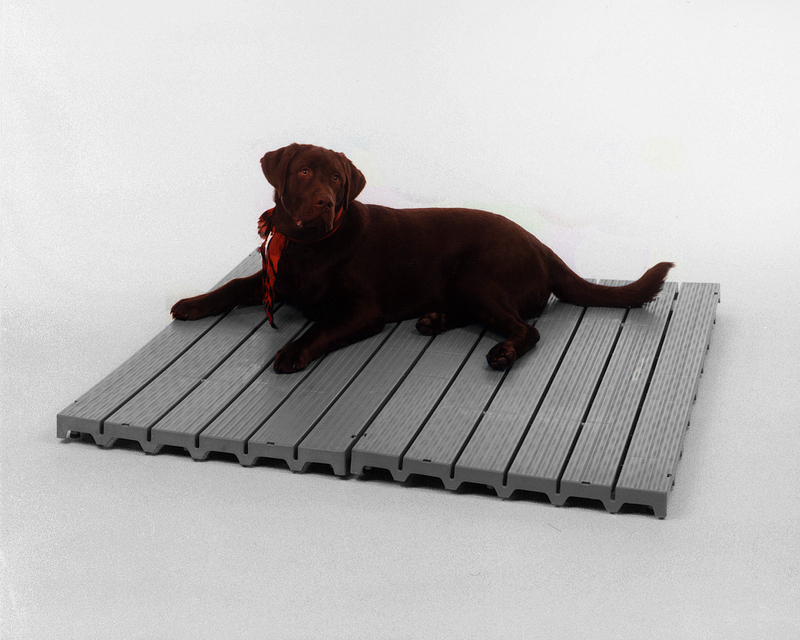 So, you will need 13 Kennel Decks®, cutting one in half to fill in the smaller space leftover.